Eat bugs, break webs, push boulders, dive underwater, or command a swarm of killer bees against the spiders. Do whatever it takes to survive the most dangerous mail run in town! Click the button below if you are on a desktop or laptop using Google Chrome, Firefox, or Opera. Safari, IE, mobile and tablets are not yet supported. Special thanks to the AIM Videogame Ensemble for composing the music for Postbug. The 12 week program was lead by Meghann O'Neill and included David Forbes, Amanda Lim, James Mara, Mitchell Munro, Joel Pearson and Tim Steain. Most rooms have a different track, so make sure you look around to get the full experience. Make sure you check out the gameplay trailer; this is just a glimpse of some of the crazy moves you may need to pull in order to survive this hostile world. If you are interested in becoming a Postbug Pioneer, you only need a score of 33 to qualify. 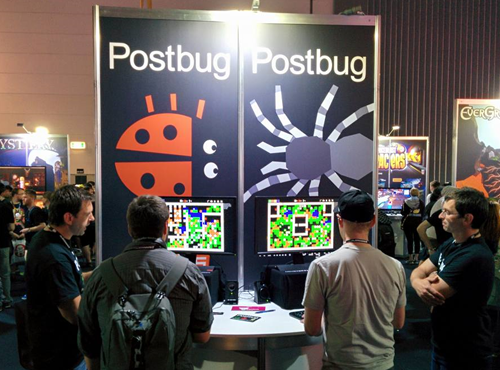 Postbug has exhibited at PAX Australia, iFest and Freeplay game festivals in Melbourne. 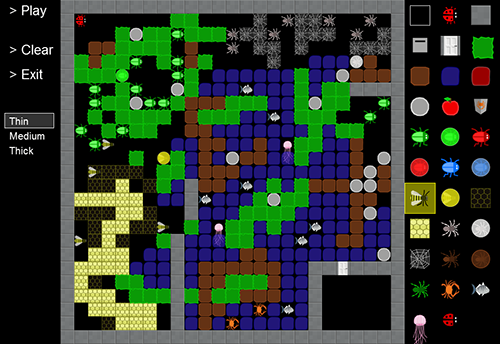 Create your own levels and experiment with the Postbug system. Do you have what it takes to deliver all 33 letters and become a Postbug Pioneer? 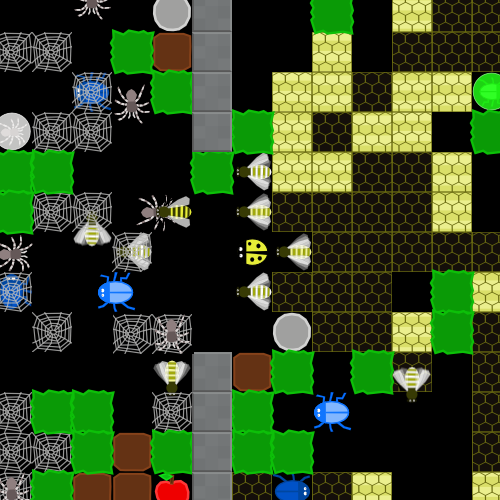 Command a swarm of killer bees to wage war against the spiders. Watch out though, the bee stuck in the web is a sitting duck! Postbug's Game Design Objectives: Postbug is a game which encourages experimentation, exploration, and strategy building during gameplay. An aim of Postbug was to create an emergent system consisting of objects with a diverse range of attributes and behaviours. 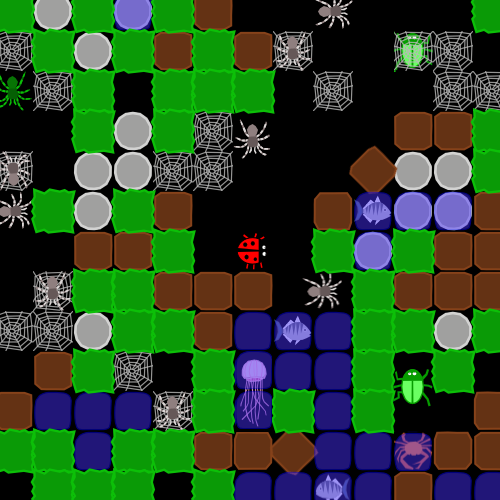 These objects include grass, dirt, rock, water, lava, bugs, eggs, spiders, fish, and crabs. In order to survive, players will need to experiment with their environment to learn how these objects behave and interact.